My specialist training in general ophthalmology was undertaken in the UK from 1989 untill 1996 (FRCS, MSc Oph. Bristol University). At a postgraduate level, I worked at St. John Eye Hospital in Jerusalem for a 12 month period (1996-7), contributing to the ophthalmic care of the Palestinian people. My specialist training in Adnexal and Oculoplastic surgery was undertaken at Moorfields Eye Hospital in London as a Fellow (1 year: 1997 – 8). Currently I am employed in the Adnexal and Oculoplastic department in the General Hospital of Galdakano (NHS, Bilbao. Spain), in addition to private practice work in General Ophthalmology and Oculoplastics, also in Bilbao, Spain. I am member of the Spanish Society of oculoplastics. We are a group of doctors connected not only by our professional work, but also based on collegiate friendship over many years. Many of us have worked in similar places, with similar experiences, including London and the St. John Eye Hospital in Jerusalem. The standard of knowledge among UK and Spanish ophthalmic professionals is outstanding, and the group represents a great opportunity both to learn and to share our medical experiences. 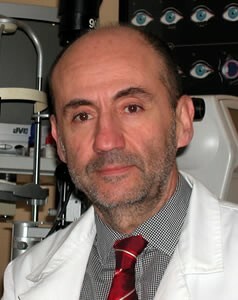 A founding member of ASOS, Dr Basauri completed his medical training in 1986 at the Universidad del Pais Vasco before undertaking his post-graduate ophthalmic studies in the UK. He held the post of clinical research fellow at the Institute of Ophthalmology in London for a year, before obtaining Membership of the Royal College of Ophthalmologists (MRCOphth) in 1992, Fellowship of the Royal College of Surgeons of Edinburgh (FRCSEd) in 1993, the Certificate of Specialist Training in Ophthalmology by the General Medical Council (GMC) in 1994. Subsequently he trained as a vitreoretinal surgeon with clinical fellowships both in Adelaide (Australia) 1997-1998 and Toronto (Canada) 2000-2001. 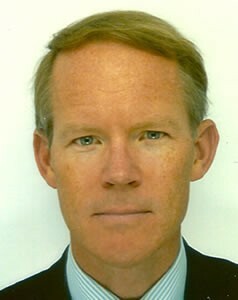 He has since worked as a vitreoretinal surgeon at the St John Eye Hospital in Jerusalem, and in Hamilton, New Zealand. He is now employed at the Instituto Balear de Oftalmologia (IBO) in Palma de Mallorca, Spain. Regarding ASOS, this is a collegiate forum of colleagues and good friends in which we share our interest and experiences in ophthalmology. Fellowship in Oculofacial Plastic Surgery at the Jules Stein Eye Institute. (U.C.L.A.). Active member of ESOPRS, ASOPRS and ASOS. Member of editorial board of Orbit (European Journal of Ophthalmic Plastic and Reconstructive surgery). Invited speaker worldwide, contributed in textbooks and published medical papers in the leading journals. Involved in Fellow training since 2002. Chief, Department of Ophthalmology at Hospital Universitari de Girona ¨Dr. 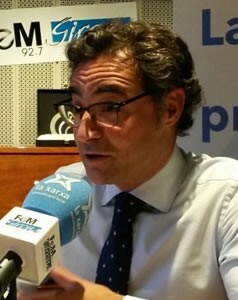 Josep Trueta¨, and Division of Orbital and Ophthalmic Plastic Surgery. He has a private practice at C.M.Teknon in Barcelona specializing in aesthetic and reconstructive oculofacial plastic surgery and tumours. 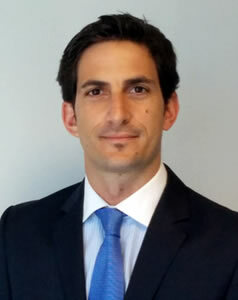 Dr Gelabert trained in the University of Catalunia, before completing a postgraduate doctorate in Telecommunications at the University of Oxford. Currently working for AXA PPP as an IT Business Partner, he is accountable for promoting best practice governance in the field of information technology, business investments and governance solutions, enabling pragmatic and agile decision making. 2012- Senior ICT Consultant, Iclaves S.L (Madrid). 2006 Restaurant Staff, Read’s Hotel, Mallorca. 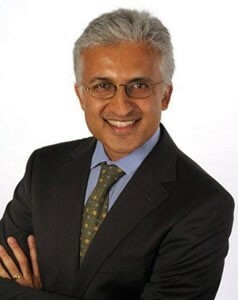 Raman Malhotra is a Consultant Ophthalmic and Oculoplastic surgeon at The Queen Victoria Hospital, East Grinstead, UK. His specialist interests include oculoplastic surgery in ocular surface disease, facial nerve palsy rehabilitation, reconstructive eyelid and orbital surgery, endonasal lacrimal surgery and aesthetic eyelid rejuvenation. He also runs a fellowship training programme. Mr Malhotra graduated in medicine and surgery from the University of Bristol, completed his ophthalmic surgical training in London and Oxford. He undertook fellowship training in Adelaide, Australia, in 2002 before returning to the UK to take up consultant post at the Queen Victoria Hospital in East Grinstead. He has developed the Malhotra endonasal DCR nibbler and endonasal punch. In 2013 he developed the Malhotra Platinum segment chain for upper eyelid loading in facial palsy. In 2015, he described and reported the post-levator aponeurosis fat pad, a layer of fat in the eyelid not previously recognised in anatomy textbooks. He has published over 130 peer-reviewed research articles, book chapters and books. 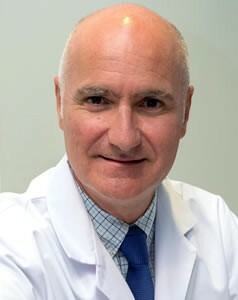 He is section editor of the British Journal of Ophthalmology and Clinical Experimental Ophthalmology and sits on the editorial board of Orbit, the international journal of the European Society of Ophthalmic, Plastic and Reconstructive Surgery. He is a Full Member of the British Oculoplastic Surgery Society (current Treasurer, second term), Member and Treasurer Elect for the European Society of Ophthalmic Plastic and Reconstructive Surgery, and Full Member of the International Society of Ocular Oncology. Mr Verity also has a life-long interest in the charitable work of the St John Eye Hospital. In 2014 he was invested in the Order of St John, and in 2016 became a Trustee of the Hospital Group.